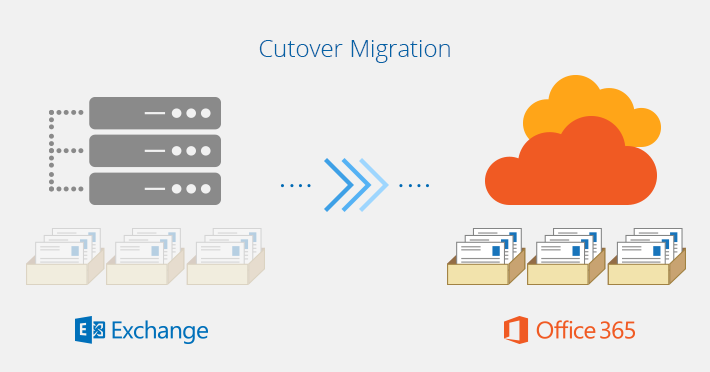 Office 365 Cutover migration, from on-premises Exchange. If a cutover migration is right for your scenario, make sure to not run the Dirsync, or Azure AD connection tool first. -run it later. Or your 365 tenant will be set to “Dirsync enabled” and you won’t be able to create the cutover batch. But most of the time it’s alot quicker.